An opportunity to acquire a detached family house together with PLANNING PERMISSION TO BUILD A FURTHER THREE BEDROOM DETACHED PROPERTY within the grounds. The plans are available to view in our showroom. 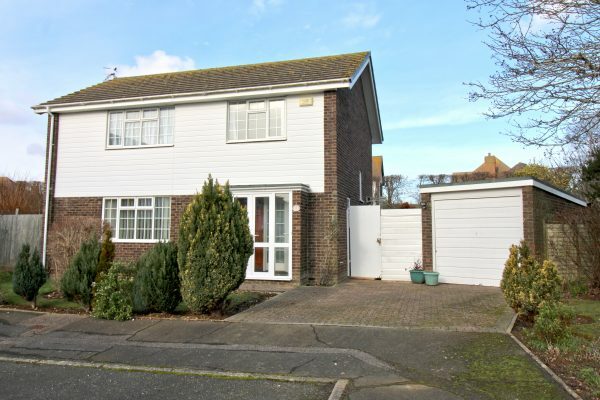 Situated in this popular location within easy reach of local shops, bus routes, Blatchington golf course and downland walks. Seaford County Primary School and Cradle Hill Primary School are also within close proximity, whilst the town centre and railway station are approximately a mile and a quarter distant. The accommodation consists of a good sized lounge/dining room with double doors to a conservatory at the rear, kitchen/breakfast room and ground floor cloakroom. On the first floor are three double bedrooms, bathroom and separate W.C. Offered for sale with immediate vacant possession and no onward chain, viewing comes highly recommended.